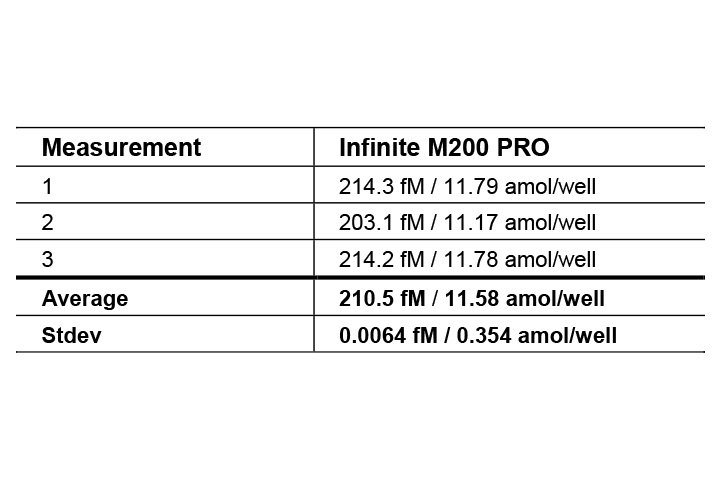 The Infinite 200 PRO is an easy-to-use multimode plate reader family that offers affordable high performance detection solutions empowered by monochromator- or filter based technologies. The six new tailored configurations provide excellence in ELISA assays, nucleic acid quantifications, reporter assay technologies, and drug discovery assays including HTRF® and fluorescence polarization. This fully upgradeable reader family is designed to simplify your target applications, making it easier than ever to choose the perfect reader for your needs and budget. Plate reader with dedicated optics designed to deliver exceptional results for glow, flash and dual-color luminescence applications. This instrument is equipped with a dedicated luminescence module for measuring glow and dual-color luminescent assays. The addition of an optional Te-Inject™ reagent injector, offers greater versatility by allowing flash luminescence measurements. An integrated optical fiber delivers optimal sensitivity (typically <12 amol/well ATP), and is optimized for use with plates up to 384 wells. This makes the instrument the perfect choice for increasing sample throughput, saving your lab time and money! Both channels of the reagent injector are compatible with 384-well plates, allowing you to perform Dual Luciferase Reporter® assays (Promega) in a high throughput fashion. The system’s luminescence filter wheel also allows you to perform dual-color luminescence assays, including the new NanoBRET™ technology. These dedicated and validated filters are pre-installed, helping to guarantee maximum performance for advanced assay technologies. 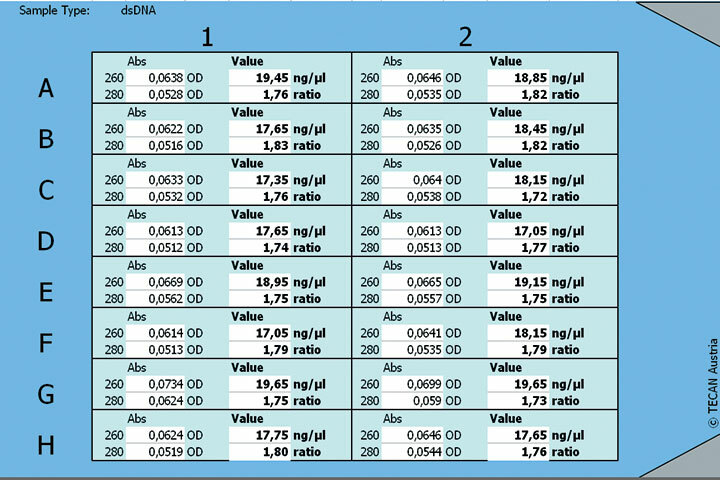 Upgradeable absorbance plate reader delivering sensitive results for ELISAs and low volume nucleic acid or protein quantification assays. Automated pathlength correction and low volume NanoQuant plate deliver high precision results every day, independent from sample volumes. The Infinite M Nano’s excitation monochromator is specifically optimized for wavelength accuracy and precision, delivering excellent performance for every absorbance assay. 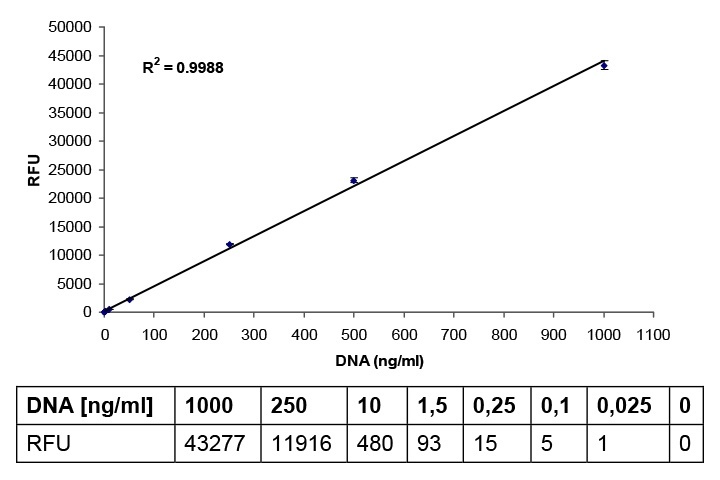 Exceptional wavelenth accuracy (typically <0.5 % at 260 nm ) and precision (typically < 0.2 % at 260 nm ) prerequisites for high performance absorbance applications, including nucleic acid quantification and spectral recording. With the optional low volume NanoQuant Plate™ and cuvette port, this reader represents a perfect tool for DNA/RNA quantifications (A260/280) and purity checks (A260/230), allowing you to work with a variety of sample formats and volumes, from 2 µl to 1 ml. Dual-mode plate reader with monochromator-based optics for absorbance and sensitive fluorescence (top and bottom reading) applications. Your adjustable tool, even for low concentration nucleic acid and protein quantification. 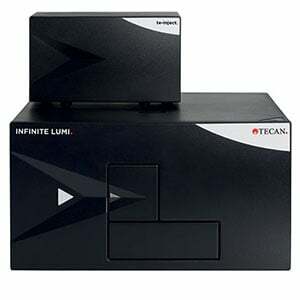 The Infinite M Nano+ has an excitation monochromator optimized for wavelength accuracy and precision, ensuring excellent performance for every absorbance and fluorescence assay. Engineered for absorbance and fluorescence measurements, the system’s highly sensitive Quad4 Monochromators™ minimize stray light, delivering exceptional flexibility with sensitivity levels close to comparatively priced filter-based instruments. This system is the perfect solution for nucleic acid quantification, especially if A260 measurements are not sensitive enough. With DNA concentrations of <1 ng/µl, accurate quantification requires a fluorescent dye, such as Quant-iT™ PicoGreen® (Thermo Fisher). The design of the instrument’s top reading fluorescence optics allow it to measure fluorescently-labeled nucleic acids in both microplates and Tecan’s low volume NanoQuant Plate™ – offering virtually the same capabilities as a NanoDrop® and a Qubit™ in one device, while still supporting microplate formats and being fully upgradeable. Dual-mode plate reader with filter-based optics for absorbance and fluorescence (top and bottom reading) applications. Your cost-effective tool for highest demands in sensitivity. The Infinite F Nano+ has been created to provide an affordable, filter-based solution delivering sensitive results for typical absorbance and fluorescence applications. Using filter-based optics offers higher sensitivity than monochromator-based systems, with the trade-off being reduced flexibility in wavelength selection. The Infinite F Nano+ minimizes this inconvenience by using L-shaped filter slides, which can hold up to four absorbance or fluorescence filters. Each slide has an ID chip that allows you to save filter definitions directly onto, enabling the system to automatically recognize the filters and simplifying slide handling. 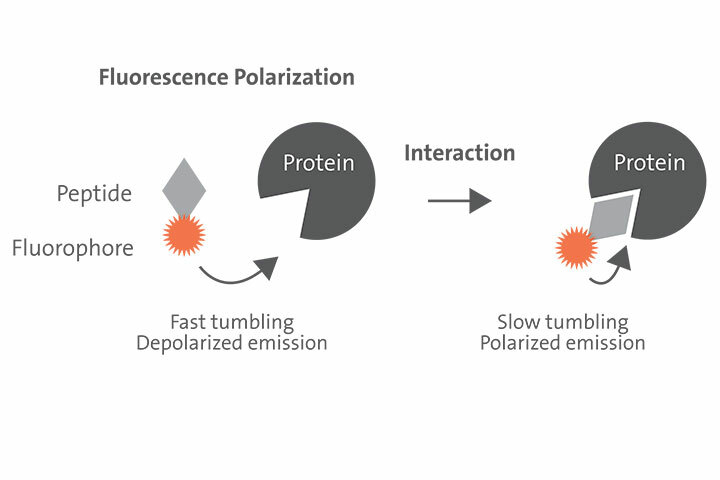 The system’s fluorescence optics include dichroic mirrors to dramatically improve performance for fluorescent dyes that are excited below and emit light above 510 nm, such as fluorescein. This ensures very low detection limits, typically around 85 amol/well (384-well plate, 100 µl). Fully loaded multimode plate reader with monochromator-based optics, offering free wavelength choice and scanning capabilities. 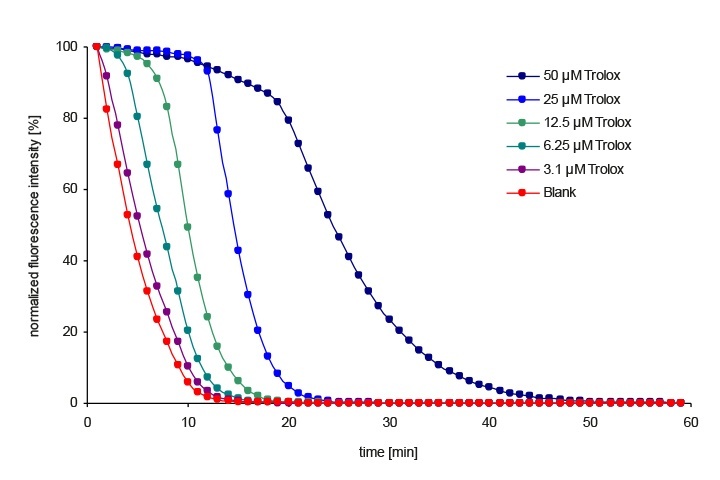 Your ready-to-go workhorse for all standard absorbance-, fluorescence- and luminescence assays. 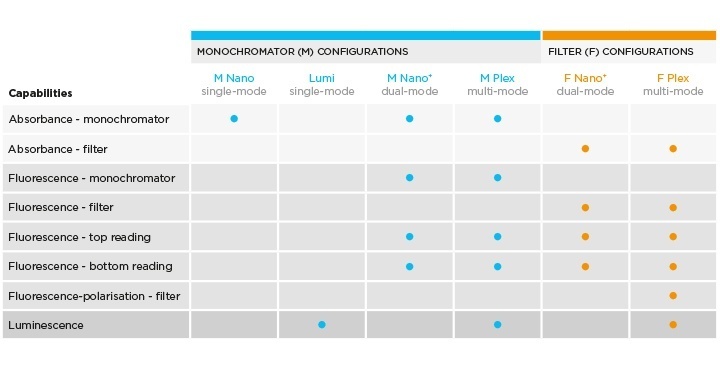 Specifically optimized for wavelength accuracy and precision, the Infinite M Plex uses Quad4 Monochromators™ technology to deliver performance and versatility for absorbance-, fluorescence- and luminescence-based assays. The Infinite M Plex is the adjustable workhorse for your lab, delivering the freedom to choose any assay at any time. The system’s monochromators give you free wavelength choice and scanning capabilities, in both absorbance and fluorescence modes. This is combined with a dedicated luminescence module – enabling glow, flash and dual-color applications – providing an outstanding combination of value and functionality in one proven instrument. Fully loaded multimode plate reader with filter-based optics – offering highest sensitivity within the Infinite 200 PRO family, combined with the broadest range of read modes. Your ideal system for low to medium throughput drug discovery, including HTRF® and Fluorescence Polarization. The Infinite F Plex delivers value without compromising on performance, combining filter-based optics for absorbance and fluorescence with a dedicated luminescence module. 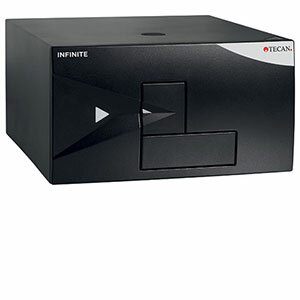 The Infinite F Plex is the practical workhorse of the lab, delivering high sensitivity for your targeted assays. The filter-based optics give you increased sensitivity for both absorbance and fluorescence measurements, with a separate luminescence module to support glow, flash and dual-color applications. This proven instrument delivers more sensitivity than you might expect, while offering unmatched value. It is fully certified for HTRF® and helps to ensure high quality results for demanding fluorescence-based assays, such as fluorescence polarization. It also represents a reliable, cost-efficient option for exploring high throughput screening applications in your lab. Upgrade paths for the Infinite 200 PRO plate reader family.